Add these to any recipe you like. The eggplants retain nice green color, and they are so firm they pop in your mouth just like they're fresh off the vine. For best results, rinse them in cold water before use. 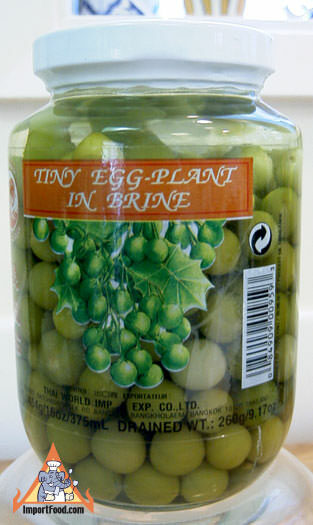 Thai tiny eggplant are available fresh in the USA only on a rare seasonal basis at a premium price, about $20 per lb. 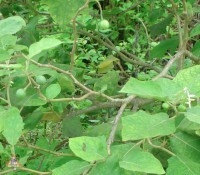 In Thailand they not found in large quantity, because each bush only produces a few (see photo below). So rare are these tiny eggplants that we can only get a few dozen cases per year, most of the time we're sold out. Ingredients: eggplant, water, salt. lactic acid, sodium benzoate, sodium metabisulfite. Product of Thailand. 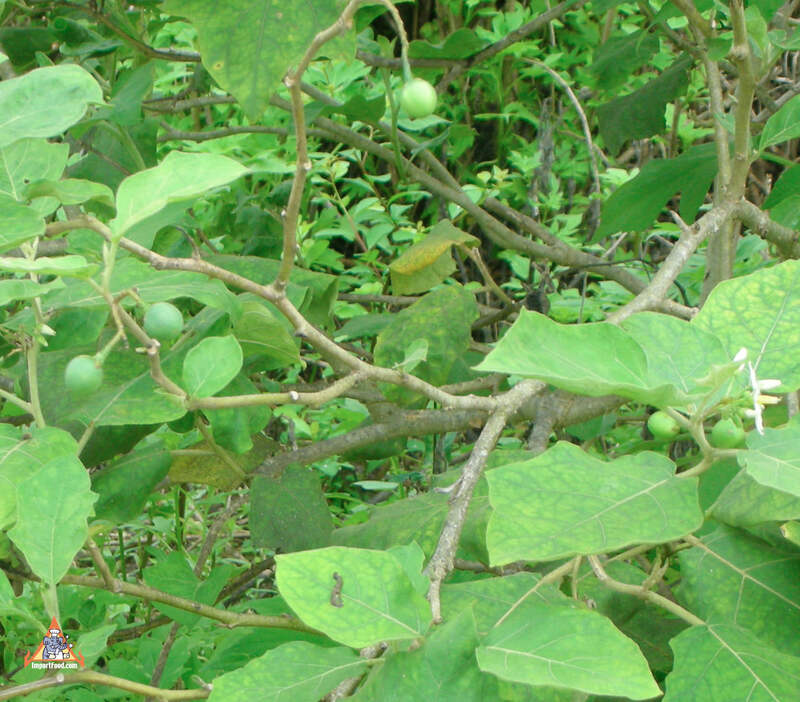 We also offer a larger, fresh Thai eggplant. In Thailand this recipe is often served at special events, such as a wedding or formal ceremony. Try to use rambutan as per the recipe, it really goes well with the flavors. We got a roasted duck locally for $17, and had it cut into pieces with a cleaver. The duck was so big that we only used half of it for this recipe.